Are you a Charlotte guru? Be heard and share your experiences by becoming an 704area.com Contributor. Learn More! Are you a local in the Charlotte area? Join your community and Get Connected with others in your area. Join FREE! 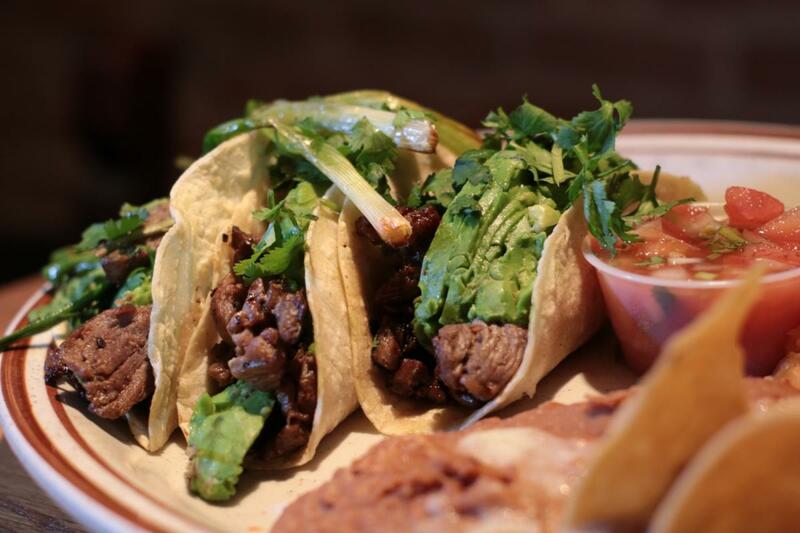 Paco’s Tacos and Tequila serves authentic Tex-Mex at Charlotte’s South Park. Their relaxing atmosphere is perfect for a casual outing with friends or taking your family out to dinner. The restaurant offers over 100 unique tequilas and amazing tacos you’ll never forget. Be sure to visit their website to check out their online ordering and delivery options, and keep in mind that you can also book their private dining room for business gatherings and special events! This restaurant provides fresh and delicious meals inspired by the local flavors of Latin-American countries like Venezuela, El Salvador, Colombia, the Dominican Republic, and Mexico. Sabor Latin Street Grill has four different locations in Charlotte, and each one of them provides the same top-quality food as the rest. Many people consider their American, Autenticos, and Locos tacos some of the best tacos in Charlotte, and the grill also has a diverse menu of other tasty and healthier alternatives. Apart from having hilarious names on their menu inspired by quotes from cult classic films, RuRu's Tacos offers exquisite meals made from pure and organic ingredients. Enjoy brunch specials such as Bring Out the Fembots and May the Force Be With You as well as legendary tacos like You’re Going the Wrong Way, Why So Serious, and That’s Not a Snowflake tacos. Additionally, the restaurant serves great margaritas and features a spacious outdoor patio to accommodate hungry customers. One of nine locations across the U.S., Babalu Tapas & Tacos in Dilworth provides an upscale alternative to Latin cuisine. The chain started off in Duling Hall, Mississippi and features everything from burgers to tacos and tapas. It’s safe to say that Babalu isn’t your typical Mexican restaurant; it's more like a blend of flavors that provides high-end food at an affordable price. Don't forget to visit them May 5 to participate in their special Cinco de Mojitos! Bringing the best of authentic Mexican food to the city, Maria’s Restaurant in Charlotte is a prime alternative to original and traditional Mexican recipes. The staff at Maria's uses fresh ingredients and prepares their food from scratch on a daily basis while providing prompt service for their customers. Try out their amazing tacos or any of their other dining options like quesadillas, fajitas, nachos, steaks, and soups. You can’t go wrong with a slogan like "Tacos, Tequila, and Whiskey." This restaurant specializes in authentic Mexican street food, and their collection of over 100 tequilas makes it a great choice to go out drinking with a few buddies. Bakersfield Tacos has an upbeat vibe and great deals on their wide variety of small but delicious tacos. Cinco de Mayo is the perfect excuse to go out with your friends and family. If you really want to celebrate May 5 the way it's supposed to be, don’t forget to check out the best tacos in Charlotte! Let us know your favorite place in the comments below, and remember register on 704area for Charlotte restaurants and all things Charlotte.